Love this product. My son can look at his reflection in the car which he loves and the lights and sounds keep him happy and very often he falls asleep! 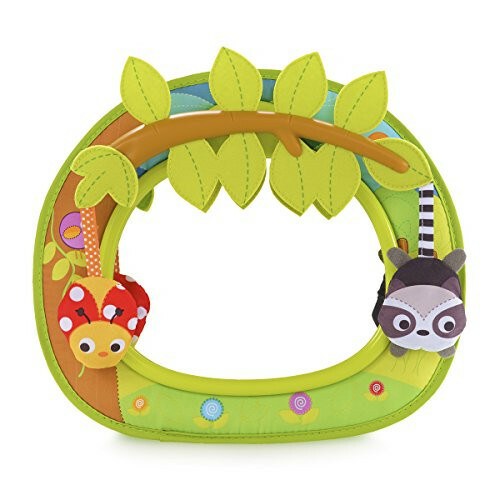 I love this product as it is very well made and attaches to the car seat easily, it is a great distraction for my 7 week old baby she loves looking at herself and gives me peace of mind when I’m driving as I can see her through my mirror. 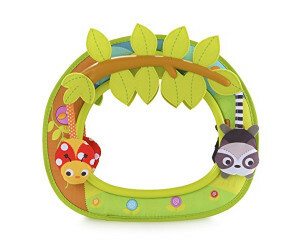 This is a great product, it keeps baby entertained in the car while letting you see a great view of them. It’s bright and colourful and the moving animals work well with the movement of the car to distract baby- this was especially good for my daughter who hated going in the car for so long! We have loved this product, both as the parents and our baby loves it too! Fantastic design, easy to attach to head rest. I found this to be a god send on long journey's. Your able to see your child via your mirror, not only can you see them but at the right angle they can see you. It kept my children occupied on trips out they would chat to themself's and myself without any distractions of screaming etc. Would definitely recommend for on the road parents. I love this product! As soon s my little get gets in the car this is the first thing he see! He laughs and giggles and eventually falls asleep :) Great item to buy! Loved the design it's fun for the children and very practical for the parents. It does exactly what it's meant to do and it's price isn't too much. I bought this for my last baby and it was perfect to keep a eye on her while I was driving. The only problem I had after about a month of using it. It was falling down so have to check it every time I was putting my daughter in the car to check it wouldn't fall on her. Mirror is great, easy to fit and easy to use, make being in the car better as you can see them so you don't worry so much. Easy to which from car to car. Cab be use both side off the car and baby enjoys playing in it. Could do with some lights on. Good Baby car mirror. Easy to use. Good price. Good looking and easy to fit in the car. I like the color too. I hope this review help to buy the right baby mirror. I can see my baby from the driver seat when safe to do so and my baby can see me! I love this mirror and would feel lost without it. I love being able to check on my little one and my little one is reassured that she can see me despite being rear facing! It also provides ongoing stimulation and learning as she can also see her own reflection. Our daughter is eto cry when we was in the car because she couldn’t see us. As soon as we got this she was to much more happier because she could see herself and us plus we could keep an eye on her. What a product. 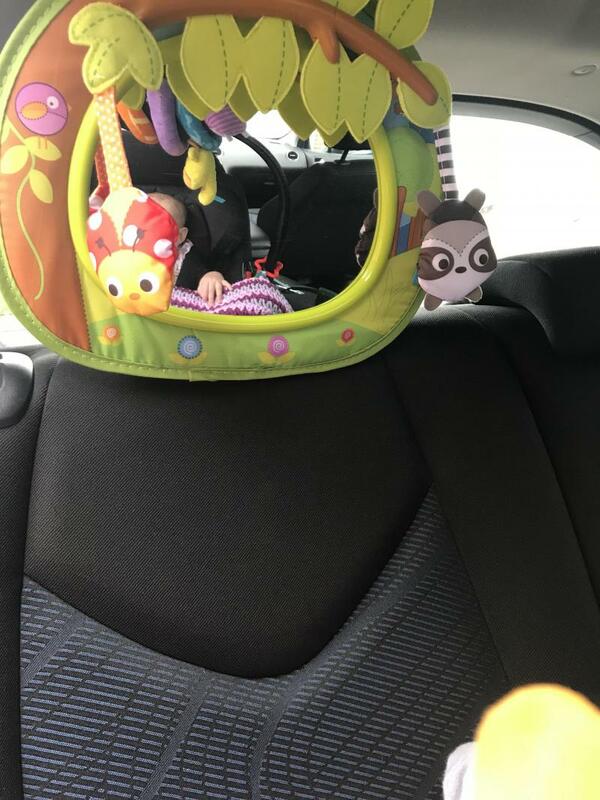 My friend had this for her baby in the car and kept baby entertained for ages, so i invested in it myself. My daughter loves it and is so good for them long journeys. She talks away to it and stays occupied so that I can drive and concentrate. Easy to attach and great to get along with. Fabulous product, will be buying as a gift for friends expecting babies! Easy to fit, soft for baby to touch and multi use. We leave it in the car but have managed to take it in the pushchair etc. Highly recommended. I absolutely love this product! The mirror is attractive and catches my little ones attention won’t it’s moving parts. The mirror is clear and makes it easy to see my little one in his car seat. I fitted the mirror to my headrest in the matter of seconds meaning it’s easy to transfer to our other car. The only problem I have had is when trying to fit it to a smaller sized headrest. It didn’t fit as well and so was more difficult to get the correct angle to see my little one clearly. Will define recommend to friends! I was selected to trial this product. It's absolutely beautiful my little girl loves looking at it and watching the animals swing with the movement of the car. It's easy to install and is the perfect size to see what your little one is up to whilst driving!. Have recommended to friends who have also gone to purchase them since. Miles better than the old ones we had for my other children which were plain black and boring! Love love love it! This item is awesome, so easy to attach that I didn't even need to look at the instructions. The bright colours attract babies attention and he loves being able to see himself and I am able to keep a watchful eye on him whilst driving. 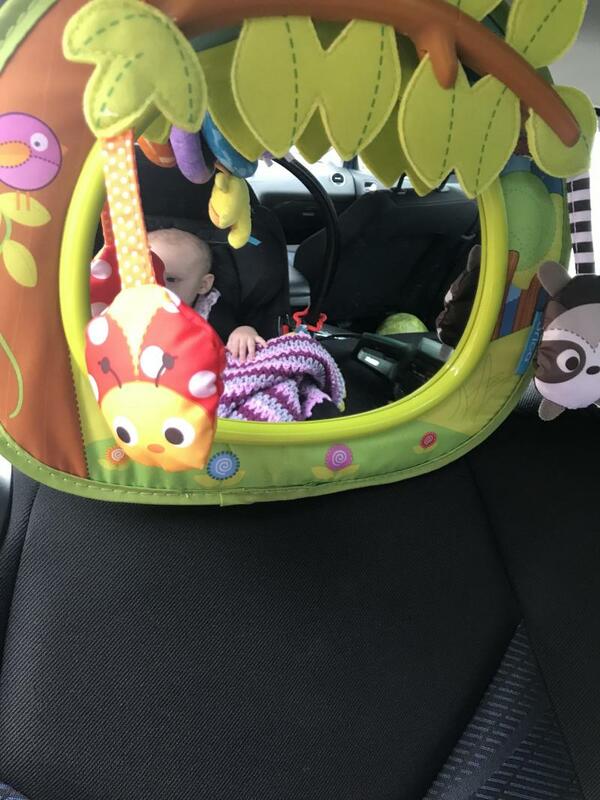 This product is brilliant for keeping an eye on little one whilst in the car. Also as little one becomes older than find lots of entertainment staring at themselves! 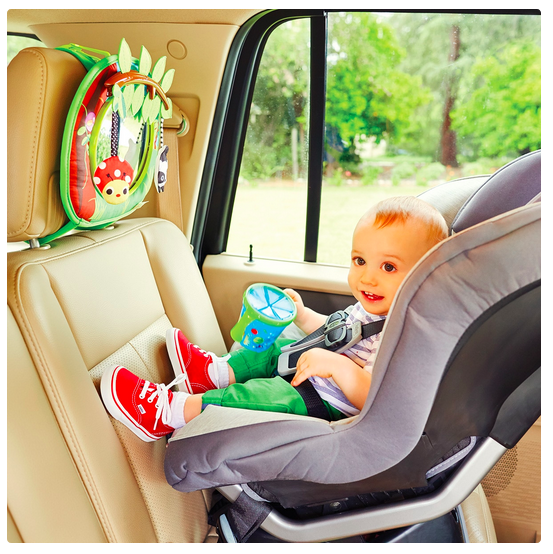 This mirror certainly puts your mind at ease whilst travelling with baby in the back! Brilliant invention! 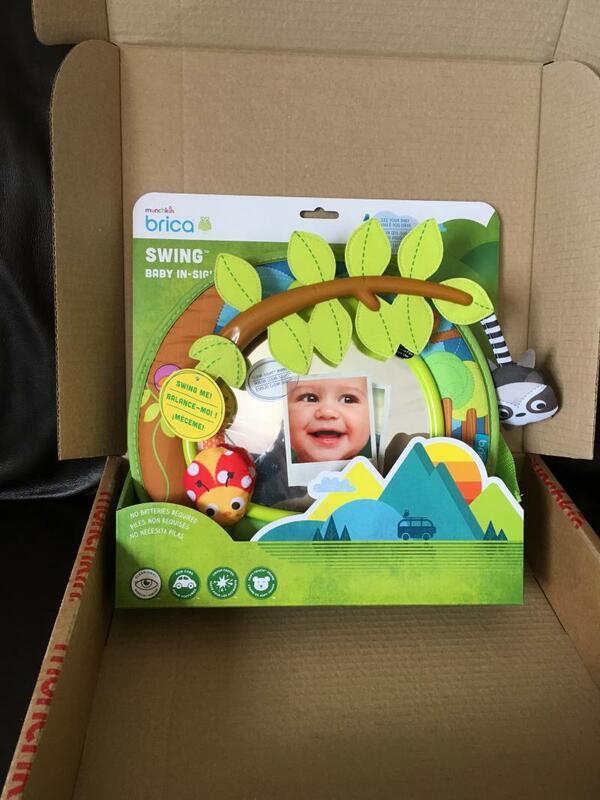 Keep your little ones in sight with this BRICA Baby In-Sight Swing Car Mirror. There are multiple attachment options to fit all cars!